Both men and women experience hair loss at some point in their lives. I can relate because I’m follicly challenged myself. 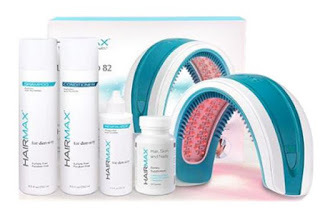 HairMax’s newest and fastest treatment laser device is clinically proven and FDA cleared. The LaserBand 82 delivers safe, nourishing light energy to hair follicles to activate them for stronger growth. Treatment takes as little as 90 seconds for 3 days a week. This might seem an odd Christmas or Hanukkah gift, but for the recipient who might not buy it for themself, they’ll be grateful for your generosity.